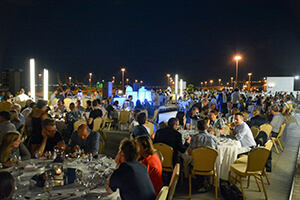 NANOTEXNOLOGY 2017 concluded successfully on the 8th of July 2017, after an exciting week full of important technological, business and networking parallel events. 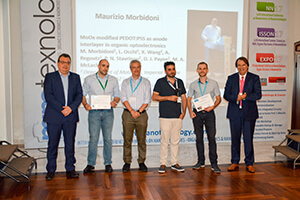 LTFN Nanotechnology Lab, together with Aristotle University of Thessaloniki, Nano|Net Research and Innovation Network and HOPE-A, co-organized this year’s events. 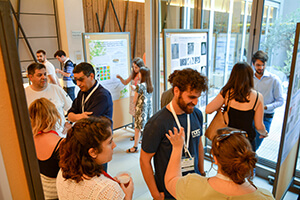 The ISSON17 Summer Schools opened this year’s NANOTEXNOLOGY on Saturday 1st of July. 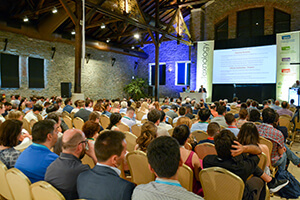 ISSON17 comprised of fascinating lectures on Nanotechnologies, Organic Electronics and Nanomedicine gathering more than 105 students from 26 different countries and 25 internationally acknowledged experts! Coming next, ISFOE17 Symposium on Flexible Organic Electronics started on Monday 3rd of July with more than 161 presentations from 33 different countries, to be followed by NN17 Conference on Nanosciences and Nanotechnologies which started on Tuesday 4th of July encompassing 400 presentations from 49 different countries. 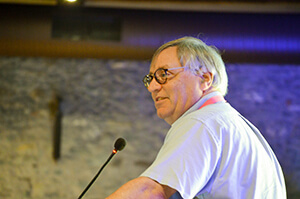 During the fourth day of NANOTEXNOLOGY exciting plenary talks were delivered by three world-class scientists (Prof. S. Marder, Prof. H. Snaith and Prof. J. Seiradakis), where the attendants had the opportunity to be informed about all the cutting-edge updates on the fields of Nanotechnologies and Organic Electronics and watch an interesting lecture about the Antikythera Mechanism! 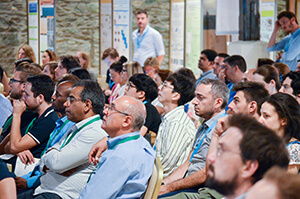 This year 7 New Parallel Workshops and Events enriched NANOTEXNOLOGY’s program with more than 100 presentations from 20 countries. 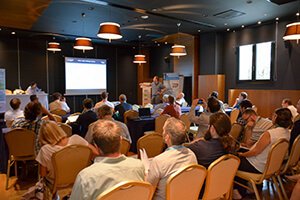 Starting on Monday July 3rd during ISFOE, the HOPE-A & JAPEC Joint Workshop took place, highlighting the cooperation between Greece and Japan in the fields of Technology, Innovation and Business in the era of Organic Electronics. The Workshop included presentations explaining the technology and entrepreneurial activities of HOPE-A and JAPEC partners. During the first day of NN conference, the Photonic Integrated Circuits Workshop took place, where the participants had the chance to give an overview of the Photonic Integrated Circuits (PIC) technology, bringing together the PIC value chain of Europe’s key players in the field. Two new shared workshops took place on July 6th and 7th during the ISFOE symposium and NN conference; the New Business development and Commercialization workshop aiming at fostering actions on the exploitation and commercialization of scientific research and innovations on nanotechnology related fields and the Workshop on Renewable Energy and Storage with topics like next gen. PVs, Fuel Cells and Hydrogen generation, Smart Cities, Energy autonomy in Agriculture etc. Both Workshops gathered an exciting list of speakers and many representatives of the authorities between the audience like the Greek Alternate Minister of Environment and Energy, Mr. Socrates Famellos. 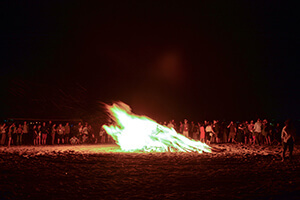 During the last day of NN conference, Friday July 7th, three more workshops took place. 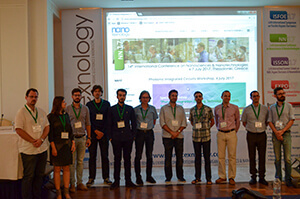 The NANO-GR and EU-USA Workshops, developed in two continuous sessions in the NN program, with presentations of active and past Greek and EU funded projects in the first part and discussion of the current activities in nanomanufacturing and factory of the future between USA and EU academics, researchers and entrepreneurs during the second part. Finally a Workshop to honor Prof. Y. Missirlis brought the last day of the conference to an end with many speakers giving talks to pay tribute to Prof. Missirlis for his continuous multifaceted support of these conferences during all this years. 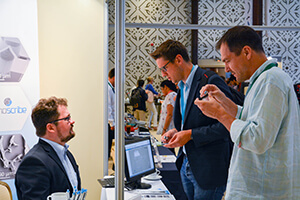 Along with the Conferences and Summer Schools, EXPO17 the exhibition on Nanotechnologies, Organic Electronics and Nanomedicine gathered more than 50 exhibitors from different countries, together with a Matchmaking Event with more than 180 bilateral meetings and Business Forum with presentations from companies' representatives, where only some of the highlights of this year’s NANOTEXNOLOGY.